Heavy-duty 2½”-diameter legs easily adjust from 6” to 10” for a perfect fit. Under-bed lighting provides both ambience and functionality. 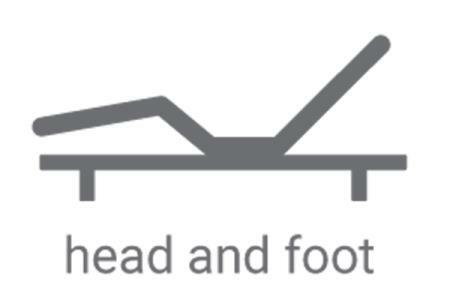 Effortlessly raise the head or foot to find ultimate comfort. Rejuvenate after a long day with a relaxing head-to-toe massage that soothes your cares away. Place this freestanding remote on your nightstand for easy access and use the safety lock feature for peace of mind. Relieve pressure points with weightless Zero Gravity or find personalized comfort by storing two of your favorite positions. No sync cable required for split sizes. In the event power is lost, a battery backup returns the base to flat. Quickly elevate the head of the base 7° to open up airways. Easily return the base to flat with the touch of a button, or program with press-and-hold for safety. We watch TV, read, play video games and work from the comfort of our beds. It’s the oasis after a long workday, where we seek a tranquil environment that inspires relaxation and rejuvenation. Simplicity 3.0 will cater to these needs, while providing innovative features to help promote a healthy posture during sleep with the user’s comfort in mind. This adjustable base has a 2” low-profile design, allowing for easy placement in the frame of your current bed. 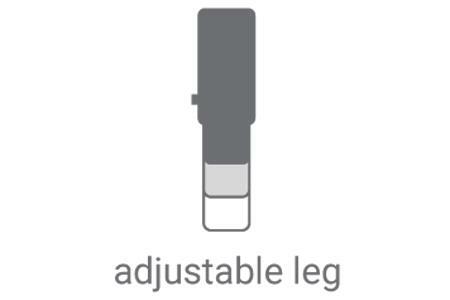 The heavy-duty 2.5” diameter legs are adjustable from 6” to 10” in height so that you’ll always have the perfect fit. Contemporary, charcoal gray patterned fabric is designed to provide a great neutral foundation that will coordinate with any décor. A patented MicroHook retention system holds the mattress in place so that you can eliminate the need for a metal mattress retainer bar and the foot of your base. A newly designed, back-lit wireless remote provides the user full control to relieve pressure points with weightless Zero Gravity or find personalized comfort by storing (2) of your favorite positions. Other functions include full-body dual massage with wave motion, and Snore button that quickly elevates the heard of the base 7” to open up airways. 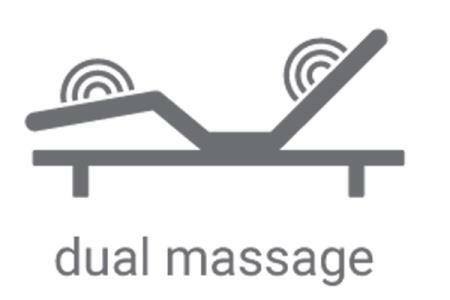 These body angle adjustments can potentially help ease stress, reduce soreness in the body, and moderate or eliminate snoring, allowing you to receive the highest level of personal comfort and the sleep you need. 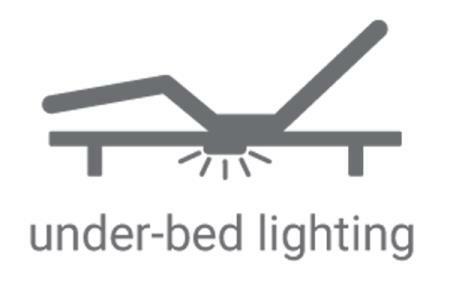 Under the bed you’ll find lighting to provide ambience, and a high-performance motor with lift capacity of up to 850-lbs. A flat button can also be programmed for safety and convenience, and in the event that electricity is lost, the emergency power-down feature will slowly lower the base. The Simplicity 3.0 adjustable base comes with a 1-year full product, 3-year parts and labor, and 25-year parts only warranty. The Simplicity 3.0 Full Simplicity 3.0 Low-Profile Adjustable Bed Base with Full Body Massage and Simultaneous Movement by Fashion Bed Group at Jordan's Home Furnishings in the New Minas, Halifax, and Canning, Nova Scotia area. Product availability may vary. Contact us for the most current availability on this product. Browse other items in the Simplicity 3.0 collection from Jordan's Home Furnishings in the New Minas, Halifax, and Canning, Nova Scotia area.